LIGA set of bathroom floor furniture and Versa Mirror. 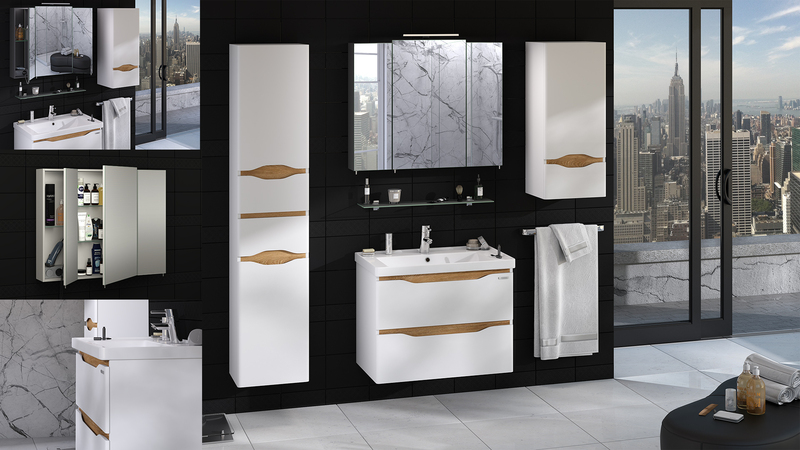 LIGA AIR set of bathroom wall hung furniture and 80 cm Everest Mirror Cabinet. Wall Hung Slim Cabinets For Bathroom and Flooring Tall Cabinets Liga. LIGA Cabinets – European Scandinavian Design. 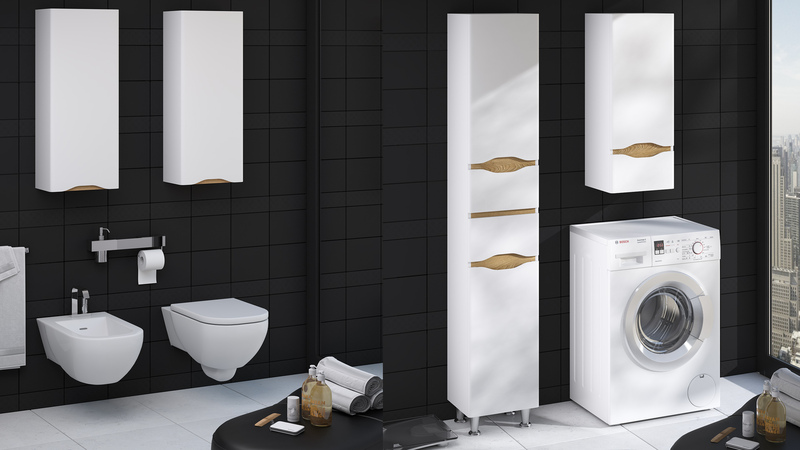 These LIGA and LIGA AIR models of bathroom furniture are provided in the two versions – the floor and the wall hung version respectively. This model features a 16 mm thick MDF and absence of handles. Laconic modern design. The light wood inserts are a trend in the European market. The concealed soft close Blum runner systems enable effortless use of furniture for years. Practical grey color inside the drawers, special construction for wall cabinet installation, Sayerlack lacquering materials (Italy), quality fittings and modern design. 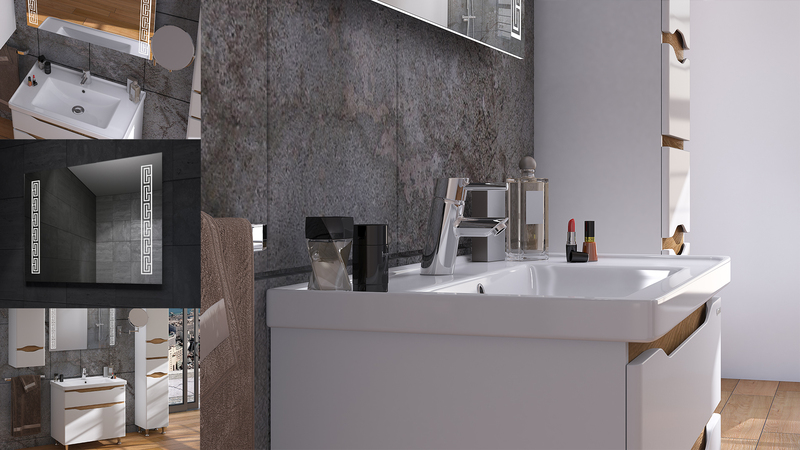 LIGA and LIGA AIR bathroom cabinets are completed with a ceramic wash basin (Kante or Prince). Wall cabinet height: 600 mm.